Contact us for our best price! The Langma Advanced Pro Disc is engineered for aggressive climbing, descending and accelerations. The unrivalled stopping power of disc brakes provides the confidence to carry speed in fast corners or tight quarters. 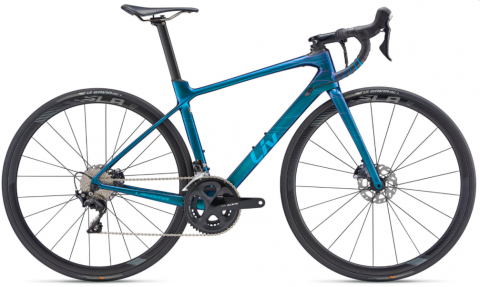 The frame’s slender tubing creates an extremely fast and lightweight racing machine, while the downtube thickens as it approaches the PowerCore bottom bracket for pedalling stiffness strength. With Liv’s 3F design philosophy and cutting-edge lightweight aerodynamic innovations, Langma Advanced Pro Disc provides the winning advantage for every effort, from long hilly races to fast-paced criteriums. Innovative tubing design slices through the wind without sacrificing weight or stiffness.